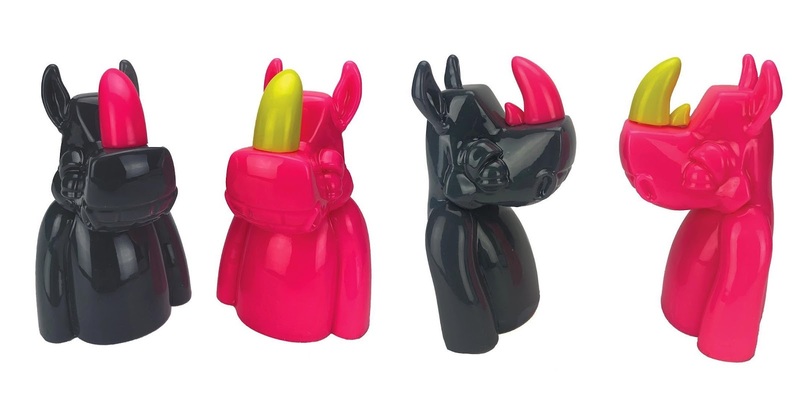 Scribe’s awesome Rumpus resin bust is back with two vibrant Valentine’s Day Edition release. Produced by Silent Stage Gallery, the Valentine’s Day “Not an Aphrodisiac” Rumpus Bust will be available in a Black Edition with Pink Horn and a Pink Edition with Yellow Horn. Each colorway is limited to just 25 pieces and includes a signed and numbered Certificate of Authenticity. These Valentine’s Day releases will go on sale at 10am PST this Monday, February 11th, at the Silent Stage online store for $150 each.